Brian Matz, a respected scholar of the history of Christianity, provides an accessible and erudite introduction to the thought of fourth-century church father Gregory of Nazianzus. Matz explores Gregory's homilies, especially those that reveal Gregory's affirmation of the full deity of the Holy Spirit, and shows the importance of Gregory's work for contemporary theology and spirituality. This work demonstrates a patristic approach to reading the Bible and promotes a vision for the Christian life that is theological, pastoral, and philosophical. 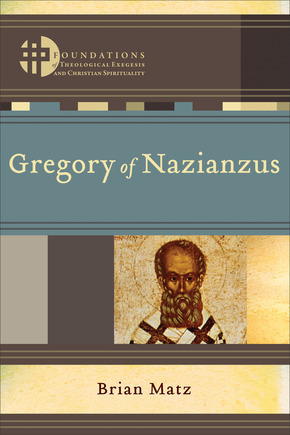 Gregory of Nazianzus is the fourth book in a series on the church fathers edited by Hans Boersma and Matthew Levering.